Observation - Grey wagtail - UK and Ireland. Description: I think it is a grey wagtail but it could be a yellow wagtail. 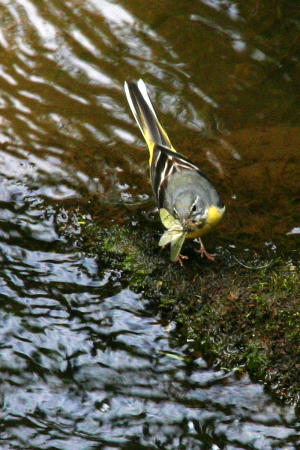 Feeding in a stream in the grounds of Dunster Castle. Extra brownie points for identifying its food! I think it is a grey wagtail but it could be a yellow wagtail. Feeding in a stream in the grounds of Dunster Castle. Extra brownie points for identifying its food!